Susan from thisoldpaper.com sent this bookmark along. By the way, if you enjoy this site, you will adore This Old Paper. Please check it out. 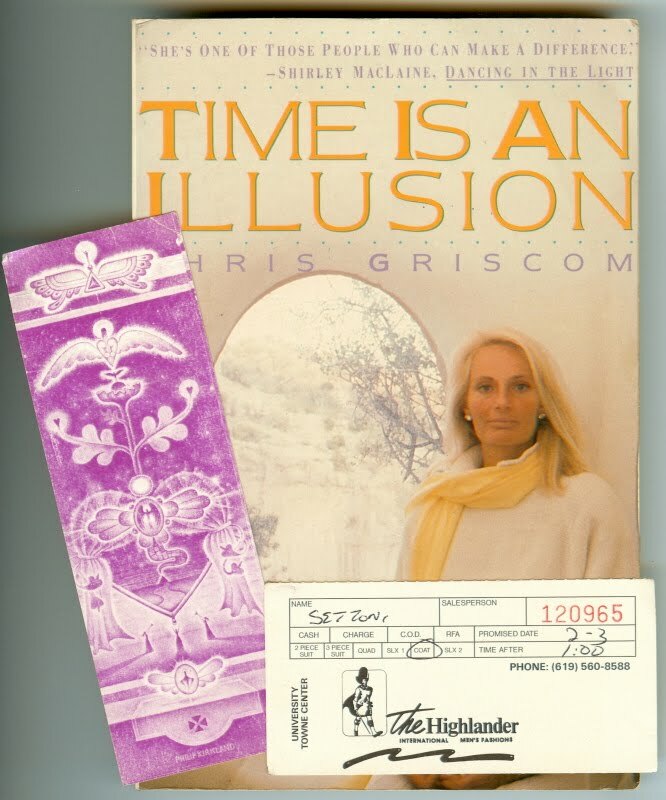 The forgotten bookmark is a Mr.Settoni's coat ticket from The Highlander International Men's Fashions, University Towne Center. I had to check the address on Google Maps because I live only a few blocks from University Avenue, and I found that the building that once housed the "Controversial Bookstore" is now empty. The Highlander clothing store still exists, but in La Mesa now instead of UTC/La Jolla. The pictures don't appear to be working right now. I'll come back and check again later.